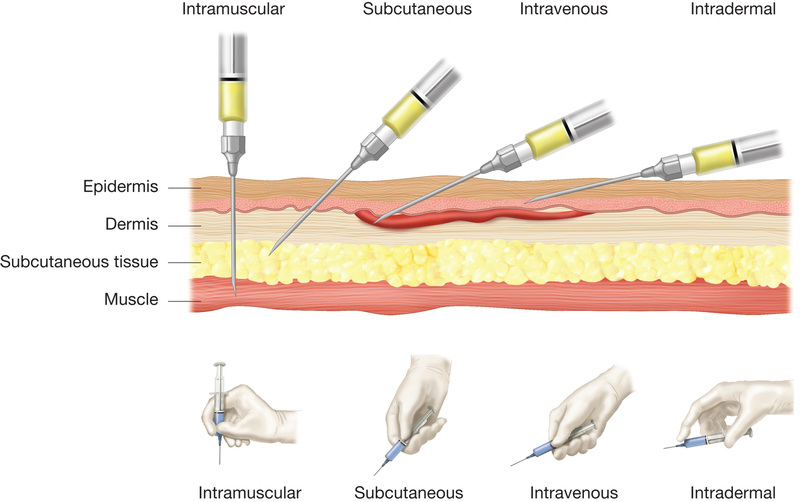 Parenteral medication administration. 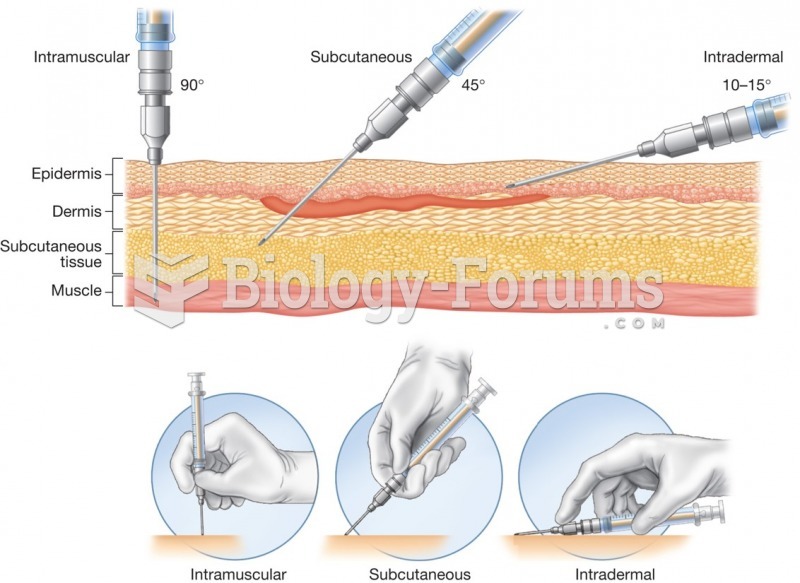 The angle of needle insertion for four different types of parenteral injections. Would be neat if there was a list as to why each angle is significant in the medical world.